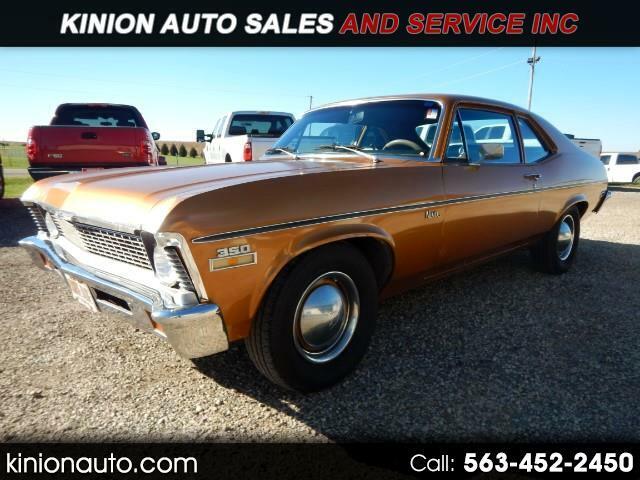 Used 1972 Chevrolet Nova Base for Sale in Clarence IA 52216 Kinion Auto Sales and Serivce Inc.
Kinion Auto Sales and Serivce Inc.
Kinion Auto Sales and Service Inc.
Visit Kinion Auto Sales and Serivce Inc. online at kinionauto.com to see more pictures of this vehicle or call us at 563-452-2450 today to schedule your test drive. All vehicles sold as is. No warrenties expressed or implied. Message: Thought you might be interested in this 1972 Chevrolet Nova.